Recognize how information is created and how it evolves over time. Identify how the information cycle impacts the reliability of the information. 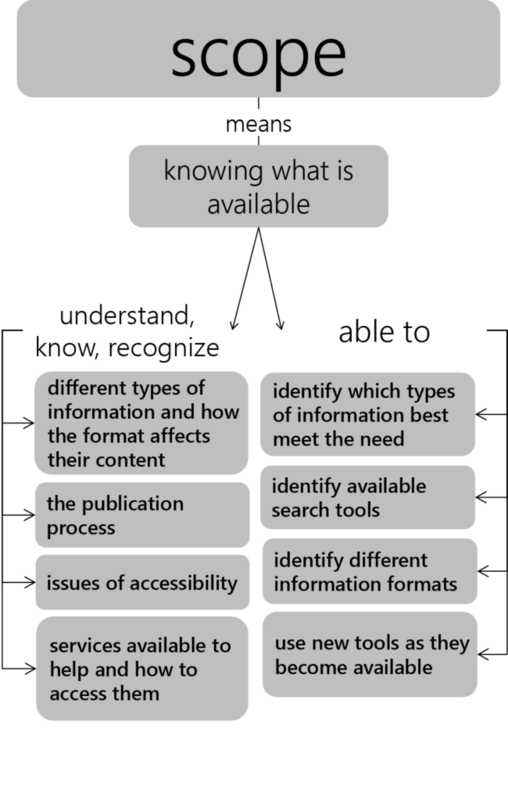 Select information sources appropriate to information need. Because a literature review is a summary and analysis of the relevant publications on a topic, we first have to understand what is meant by ‘the literature’. In this case, ‘the literature’ is a collection of all of the relevant written sources on a topic. It will include both theoretical and empirical works. Both types provide scope and depth to a literature review. When drawing boundaries around an idea, topic, or subject area, it helps to think about how and where the information for the field is produced. For this, you need to identify the disciplines of knowledge production in a subject area. Information does not exist in the environment like some kind of raw material. It is produced by individuals working within a particular field of knowledge who use specific methods for generating new information. Disciplines are knowledge-producing and -disseminating systems which consume, produce and disseminate knowledge. Looking through a course catalog of a post-secondary educational institution gives clues to the structure of a discipline structure. Fields such as political science, biology, history and mathematics are unique disciplines, as are education and nursing, with their own logic for how and where new knowledge is introduced and made accessible. You will need to become comfortable with identifying the disciplines that might contribute information to any search strategy. When you do this, you will also learn how to decode the way how people talk about a topic within a discipline. This will be useful to you when you begin a review of the literature in your area of study. What is important about the topic to the people in that discipline? What is most likely to be the focus of their study about the topic? What perspective would they be likely to have on the topic? In this example, we identify two disciplines that have something to say about the role of sports in society: allied health and education. What would each of these disciplines raise as key questions or issues related to that topic? We see that a single topic can be approached from many different perspectives depending on how the disciplinary boundaries are drawn and how the topic is framed. This step of the research process requires you to make some decisions early on to focus the topic on a manageable and appropriate scope for the rest of the strategy. (Hansen & Paul, 2015). ‘The literature’ consists of the published works that document a scholarly conversation in a field of study. You will find, in ‘the literature,’ documents that explain the background of your topic so the reader knows where you found loose ends in the established research of the field and what led you to your own project. Although your own literature review will focus on primary, peer-reviewed resources, it will begin by first grounding yourself in background subject information generally found in secondary and tertiary sources such as books and encyclopedias. Once you have that essential overview, you delve into the seminal literature of the field. As a result, while your literature review may consist of research articles tightly focused on your topic with secondary and tertiary sources used more sparingly, all three types of information (primary, secondary, tertiary) are critical to your research. Theoretical – discusses a theory, conceptual model or framework for understanding a problem. Empirical – applies theory to a behavior or event and reports derived data to findings. Seminal – “A classic work of research literature that is more than 5 years old and is marked by its uniqueness and contribution to professional knowledge.” (Houser, 4th ed., 2018, p. 112). Practical – “…accounts of how things are done” (Wallace & Wray, 3rd ed., 2016, p. 20). Action research, in Education, refers to a wide variety of methods used to develop practical solutions. (Great Schools Partnership, 2017). Policy – generally produced by policy-makers, such as government agencies. Primary – published results of original research studies . Tertiary – synthesize or distill primary and secondary sources. Examples include: encyclopedias, directories, dictionaries, handbooks, guides, classification, chronology, and other fact books. 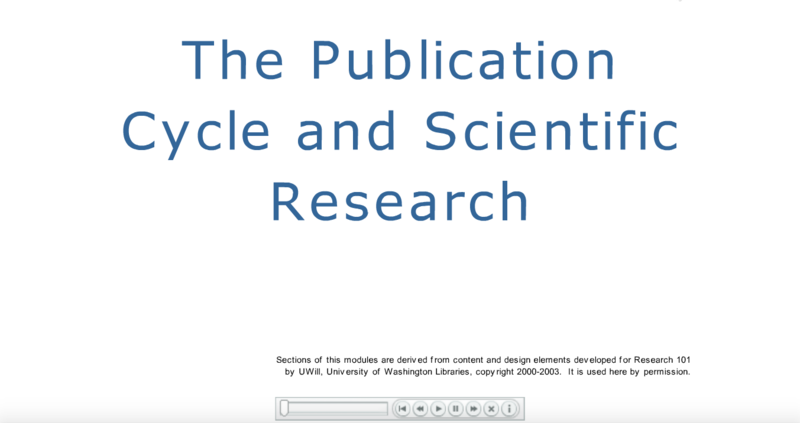 Grey literature – research and information released by non-commercial publishers, such as government agencies, policy organizations, and think-tanks. ‘The literature’ is published in books, journal articles, conference proceedings, theses and dissertations. It can also be found in newspapers, encyclopedias, textbooks, as well as websites and reports written by government agencies and professional organizations. While these formats may contain what we define as ‘the literature’, not all of it will be appropriate for inclusion in your own literature review. To get a better idea of how the literature in a discipline develops, it’s useful to see how the information publication lifecycle works. These distinct stages show how information is created, reviewed, and distributed over time. Follow the image link to view the full tutorial. Articles by the type of periodical in which an article it is published, for example, magazine, trade, or scholarly publications. Where the material is located in the information cycle, as in primary, secondary, or tertiary information sources. Journals, trade publications, and magazines are all periodicals, and articles from these publications they can all look similar article by article when you are searching in the databases. It is good to review the differences and think about when to use information from each type of periodical. A magazine is a collection of articles and images about diverse topics of popular interest and current events. magazines can have broad appeal, like Time and Newsweek, or a narrow focus, like Sports Illustrated and Mother Earth News. 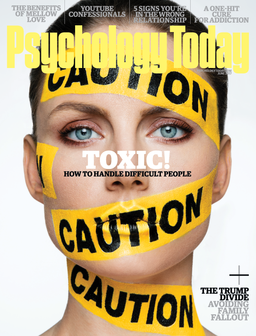 Popular magazines like Psychology Today, Sports Illustrated, and Rolling Stone can be good sources for articles on recent events or pop-culture topics, while Harpers, Scientific American, and The New Republic will offer more in-depth articles on a wider range of subjects. 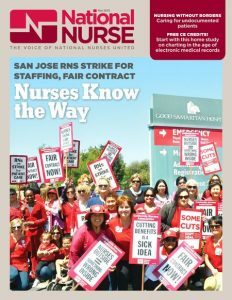 These articles are geared towards readers who, although not experts, are knowledgeable about the issues presented. Trade publications or trade journals are periodicals directed to members of a specific profession. They often have information about industry trends and practical information for people working in the field. Trade publications are geared towards professionals in a discipline. They report news and trends in a field, but not original research. They may provide product or service reviews, job listings, and advertisements. Scholarly, academic, and scientific publications are a collections of articles written by scholars in an academic or professional field. 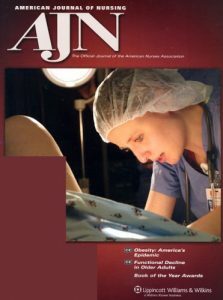 Most journals are peer-reviewed or refereed, which means a panel of scholars reviews articles to decide if they should be accepted into a specific publication. Journal articles are the main source of information for researchers and for literature reviews. Scholarly journals provider articles of interest to experts or researchers in a discipline. An editorial board of respected scholars (peers) reviews all articles submitted to a journal. They decide if the article provides a noteworthy contribution to the field and should be published. There are typically few little or no advertisements. Articles published in scholarly journals will include a list of references. Increasingly, scholars are publishing findings and original research in open access journals. Open access journals are scholarly and peer-reviewed and open access publishers provide unrestricted access and unrestricted use. Open access is a means of disseminating scholarly research that breaks from the traditional subscription model of academic publishing. It is free of charge to readers and because it is online, it is available at anytime, anywhere in the world, to anyone with access to the internet. The Directory of Open Access Journals (DOAJ) indexes and provides access to high-quality, peer-reviewed scholarly articles. In summary, newspapers and other popular press publications are useful for getting general topic ideas. Trade publications are useful for practical application in a profession and may also be a good source of keywords for future searching. Scholarly journals are the conversation of the scholars who are doing research in a specific discipline and publishing their research findings. original research, like data from an experiment with plankton. There are different types of primary sources for different disciplines. In the discipline of history, for example, a diary or transcript of a speech is a primary source. In education and nursing, primary sources will generally be original research, including data sets. 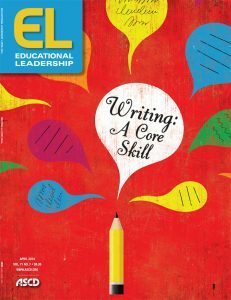 In this section, we discuss how to find not only information, but the sources of information in your discipline or topic area. As we see in the graphic and chart above, the information you need for your literature review will be located in multiple places. How and where research and publication occurs drives how and where the information is located, which in turn determines how you will discover and retrieve it. When we talk about information sources for a literature review in education or nursing, we generally mean these five areas: the internet, reference material and other books, empirical or evidence-based articles in scholarly, peer-reviewed journals, conference proceedings and papers, dissertations and theses, and grey literature. The World Wide Web can be an excellent place to satisfy some initial research needs. It is a good resource for background information and for finding keywords for searching in the library catalog and databases. It is a good tool for locating professional organizations and searching for information and the names of experts in a given discipline. Google Scholar is a useful discovery tool for citations, especially if you are trying to get the lay of the land surrounding your topic or if you are having a problem with keywords in the databases. You can find some information to refine your search terms. It is NOT acceptable to depend on Google Scholar for finding articles because of the spotty coverage and lack of adequate search features. 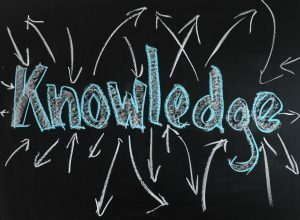 Another major category of information sources is scholarly information produced by subject experts working in academic institutions, research centers and scholarly organizations. Scholars and researchers generate information that advances our knowledge and understanding of the world. The research they do creates new opportunities for inventions, practical applications, and new approaches to solving problems or understanding issues. web pages developed by the researcher’s’ home institution (Hansen & Paul, 2015). Scholars and researchers introduce their discoveries to the world in a formal system of information dissemination that has developed over centuries. Because scholarly research undergoes a process of “peer review” before being published (meaning that other experts review the work and pass judgment about whether it is worthy of publication), the information you find from scholarly sources meets preset standards for accuracy, credibility and validity in that field. 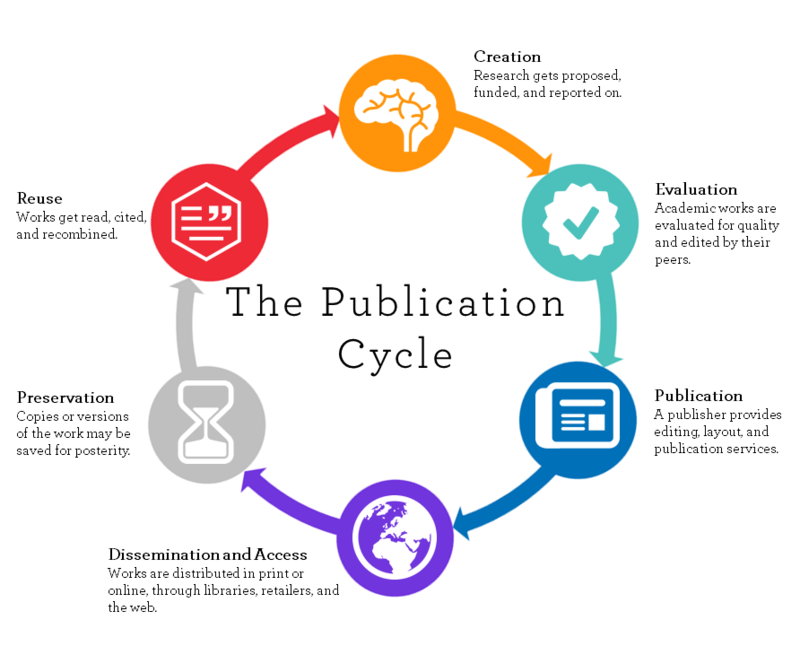 Likewise, scholarly journal articles are generally considered to be among the most reliable sources of information because they have gone through a peer-review process. Conferences are a major source of emerging research where researchers present papers on their current research and obtain feedback from the audience. The papers presented in the conference are then usually published in a volume called a conference proceeding. Conference proceedings highlight current discussion in a discipline and can lead you to scholars who are interested in specific research areas. A word about conference papers: several factors contribute to making these documents difficult to find. It may be months before a paper is published as a journal article, or it may never be published. Publishers and professional associations are inconsistent in how they publish proceedings. For example, the papers from an annual conference may be published as individual, stand-alone titles, which may be indexed in a library catalog, or the conference proceedings may be treated more like a periodical or serial and, therefore, indexed in a journal database. 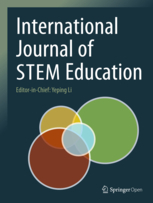 It is not unusual that papers delivered at professional conferences are not published in print or electronic form, although an abstract may be available. In these cases, the full paper may only be available from the author or authors. The most important thing to remember is that if you have any difficulty finding a conference proceeding or paper, ask a librarian for assistance. Dissertations and theses can be rich sources of information and have extensive reference lists to scan for resources. They are considered gray literature, so are not “peer reviewed”. The accuracy and validity of the paper itself may depend on the school that awarded the doctoral or master’s degree to the author. In thinking about ‘the literature’ of your discipline, you are beginning the first step in writing your own literature review. By understanding what the literature in your field is, as well as how and when it is generated, you begin to know what is available and where to look for it. information that is primary, secondary, or tertiary. By conceptualizing or scoping how and where the literature of your discipline or topic area is generated, you have started on your way to writing your own literature review. “All information sources are not created equal. Sources can vary greatly in terms of how carefully they are researched, written, edited, and reviewed for accuracy. Common sense will help you identify obviously questionable sources, such as tabloids that feature tales of alien abductions, or personal websites with glaring typos. Sometimes, however, a source’s reliability—or lack of it—is not so obvious…You will consider criteria such as the type of source, its intended purpose and audience, the author’s (or authors’) qualifications, the publication’s reputation, any indications of bias or hidden agendas, how current the source is, and the overall quality of the writing, thinking, and design.” (Writing for Success, 2015, p. 448). We will cover how to evaluate sources in more detail in Chapter 5. For each of these information needs, indicate what resources would be the best fit to answer your question. There may be more than one source so don’t feel like you have to limit yourself to only one. See Answer Key for the correct response. You are to write a brief paper on a theory that you only vaguely understand. You need some basic information. Where would you look? If you heard something on the radio about a recent research involving an herbal intervention for weight loss where could you find the actual study? You are going to be doing an internship in a group home for young men. You have heard that one issue that comes up for them is anger. Where would you look for practical interventions to help you manage this problem if it came up? You have the opportunity to work on a research project through a grant proposal. You need to justify the research question and show that there is an interest and a need for this research. What resources would you cite in your application? You have been assigned a project to find primary sources about classroom discipline used in early 20th-century schools. What primary sources could you use and where would you find them? You have an idea for a great thesis but you are afraid that it has been done before. Since you would like to do something original, where could you find out if someone else has done the project? There was a post on Facebook that welfare recipients in Arizona were recently tested for drug use with only three in 140,000 having positive results. Where can I find out if this number is accurate? Contains articles about a variety of topics of popular interest; also contains advertising. Has information about industry trends and practical information for professionals in a field. Contains articles written by scholars in an academic field and reviewed by experts in that field. News broadcasts and social media directly following an event. Analysis of an event in the news media or popular magazine weeks after an event. Articles written by scholars and published in a journal. Question 3: What is information called that is either a diary, a speech, original research, data, artwork, or a religious book. Question 4: To find the best information in the databases you need to use keywords that are used by the scholars. Where do you find out what keywords to try? Question 5: Which of the following is NOT true about scholarly journals? They contain the conversation of the scholars on a particular subject. They are of interest to the general public. The articles are followed by an extensive reference list. They contain reports of original research.